Are you an organisation and would like to collaborate with H-ELP? Minzenmay in Mornington have co-created with our Marketing Manager Marlee Horobin this gorgeous brooch which won a prize for the Media Ink 2019 Australian Jewellery Design Award. 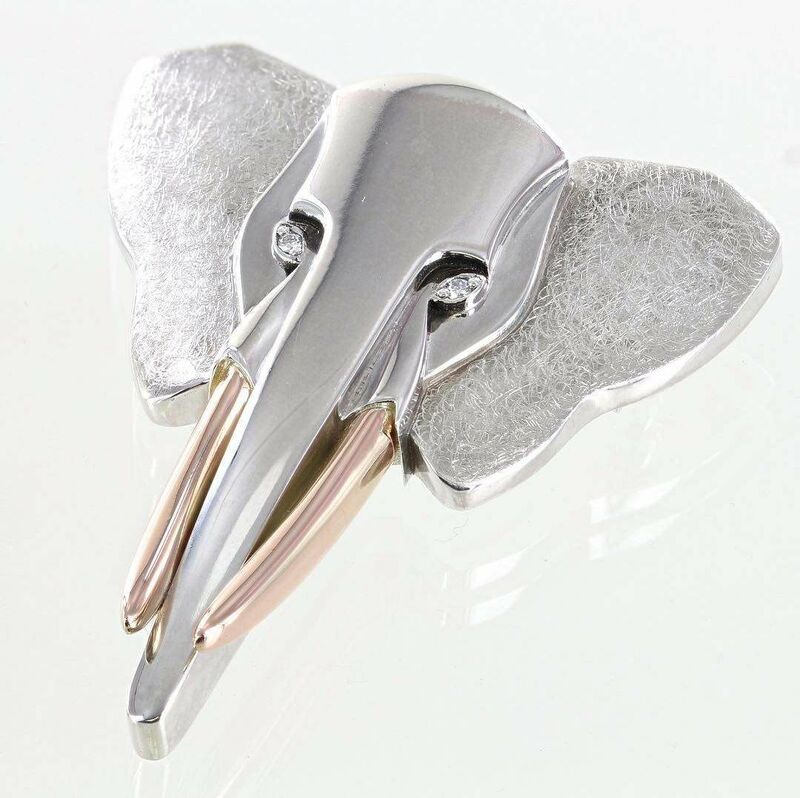 The brooch is created with hand brushed silver, rose gold tusks with Australian gemstones for the eyes.